On our fourth day of giving, we are happy to have Make-a-Wish Canada be suggested by 2 of our staff, Lisa Skipton and Warren Gilmore. The Canadian chapter of the Make-a-Wish Foundation was established in 1983 by Nigel Brown and Robb Lucy from British Columbia, just three years after the first inspirational wish was granted in Phoenix, Arizona. Since then, almost 7,500 wishes have been fulfilled by the eight regional chapters in Canada. Make-a-Wish Canada is also an affiliate of Make-A-Wish® International, the largest wish-granting organization in the world, which has made dreams and wishes come true for more than 450,000 children battling critical and life threatening illnesses since 1980. While there are numerous wish granting charities operating in Canada (who do great work, by the way), the Make-a-Wish program has established itself as one of, if not the most renown due to three key areas of operations in which they focus their efforts. Focus on Canada with global resources - All funds raised in Canada are distributed to its regional chapters and go directly towards granting wishes in this country. However, being a part of the larger international entity gives Make-a-Wish Canada the opportunity to collaborate with 48 other affiliates from around the world make every dream come true. Hands on & personal attention - The mandate of the foundation is to create lasting and unique memories that are tailored to each individual. This is done by assigning the child, and their family, with a full team of volunteers who will work to immerse the child in an environment designed to make the experience as magical as possible. Also, each regional chapter only focuses on granting one wish at a time to make sure full attention and resources are being invested in every experience. Evaluation and measures of success - Make-a-Wish Canada understands that the granting of wishes is not just an experience for the wish kid(s), but are also important for family members, medical staff, and volunteers. Thus, the foundation has used its Wish Impact Study to collect data that can be used to measure how the granting of wishes can empower children with life-threatening medical conditions to fight harder against their illnesses and improve the quality of life for them and their entire family. 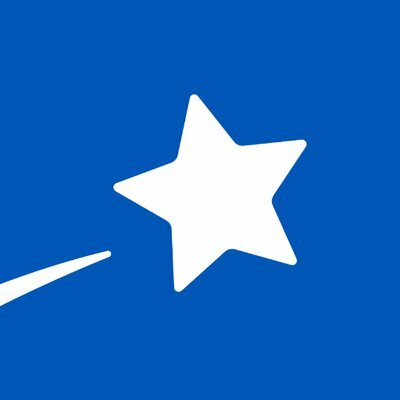 This is an extra special selection for today’s day of giving as two of our staff members have identified Make-a-Wish Canada as their charity of choice. Warren Gilmore, one of our real estate clerks, and Lisa Skipton, from our operations and business development department, both view the idea of making dreams a reality for a child who might need a reason to smile as a very worthwhile cause. In Lisa’s own words “I have seen first hand how bringing happiness to someone with a serious illness can inspire them to fight against their disease or condition. Make-a-Wish Canada has specifically helped a member of my family, and I am proud that the place where I work is willing to provide support to something I feel strongly about."